- is used by Low Cost Carriers (currently only EasyJet). 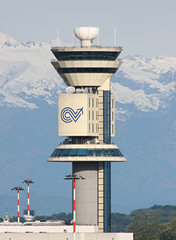 Previously Terminal 2 was also used for charter services. Charter flights are now operated from Terminal 1.